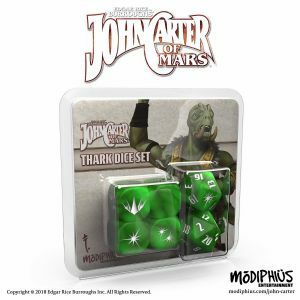 Modiphius Entertainment presents the John Carter of Mars Thark dice set. Show your loyalty to the Thark horde with these high quality, custom dice. 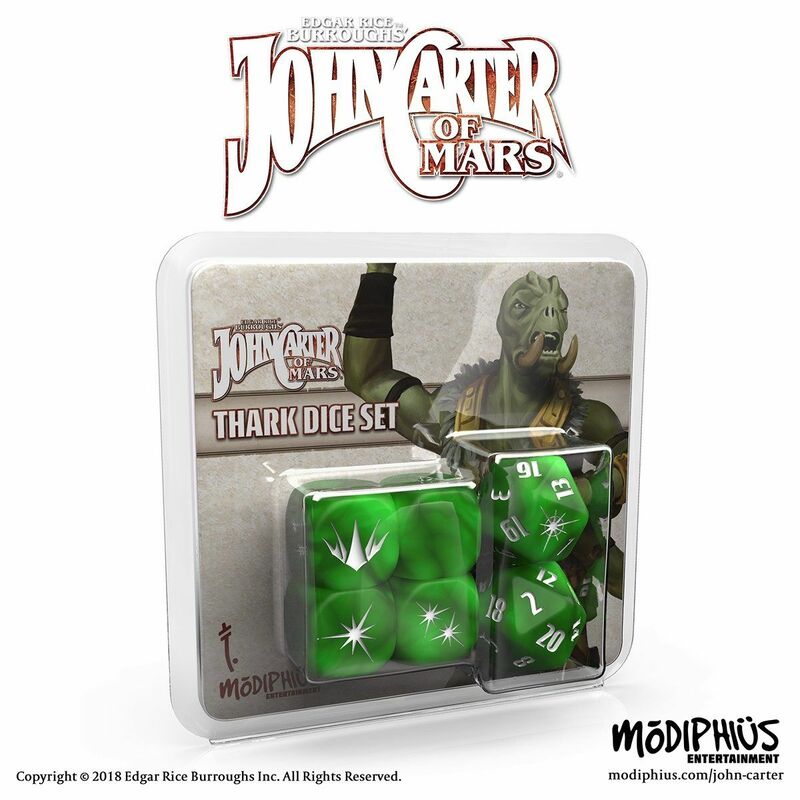 • Two d20’s and four d6’s in a bright Thark green color, featuring custom symbols specific to the John Carter of Mars roleplaying game..